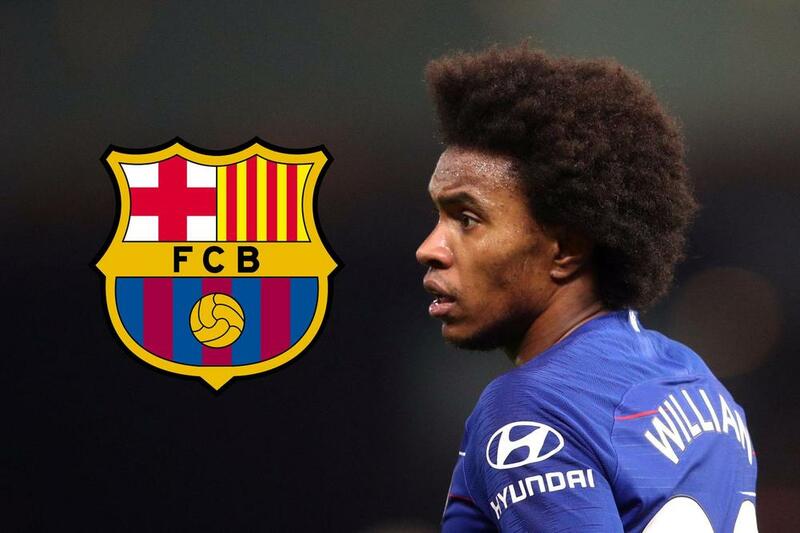 Sarri: Willian Leaving Chelsea In January Is "Impossible"
Maurizio Sarri thinks it is "impossible" for Willian to leave Chelsea in January despite reports suggesting he could be part of a swap deal with Barcelona involving the out-of-favour Malcom. When asked if he would be happy for Willian to leave, Sarri told reporters: "Of course not, because as you know a winger for us is very important. "I think he can do better, because the potential is higher, but he's very important for us, so I think it's impossible to lose him in January. "I didn't receive anything [about Willian] yesterday [Thursday]. You'll have to ask the club and ask about the market, because if you ask me about the market you put me in trouble, because I don't know." "Usually he wants ball on the feet, so I think he can improve in movements without the ball," Sarri said. "He has the potential to score more." "Of course, if he goes to another club we need a replacement, it's normal," the Italian added. "At the moment, he is here, so I think he has to think only of playing, because in this moment in Europe there are another 300 players involved in the market and they must only think to next matches or it's impossible to play."